Florida’s Governor W.S. 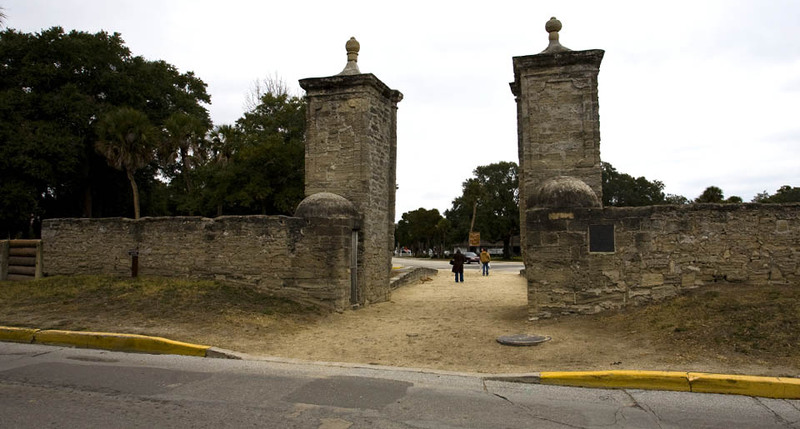 Jennings, originally from Hernando County, is pictured here riding an alligator cart in front of St. Augustine’s old city gates. These days, Segways appear to have replaced alligator cart rides. 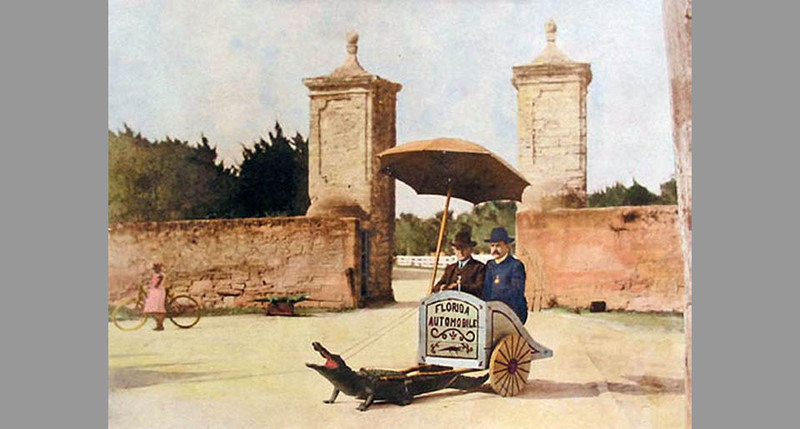 I wonder when they replaced alligator pulled carts with horse pulled carriages.